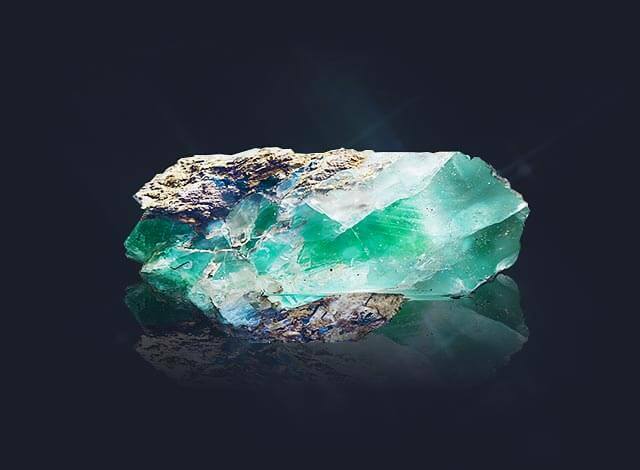 Its color being the most calming color of all, green emerald symbolizes peace, balance and growth. The gemstone is also strongly associated with fertility and regeneration. It is believed to help prevent pregnancy or childbirth complications, heal the digestive, respiratory and nervous systems of the body. Green emerald can relieve depression or emotional strain; the stone helps people to establish contact and reaffirm their relationship.